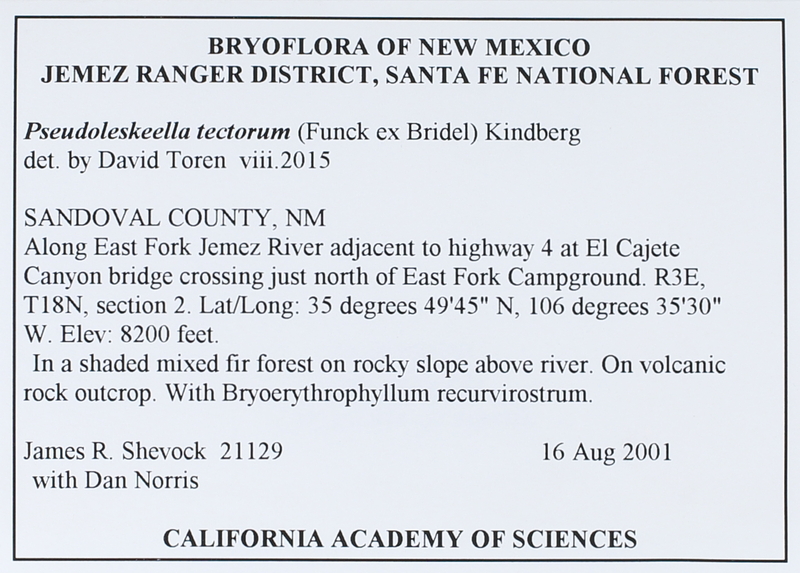 Locality: USA, New Mexico, Sandoval, Jemez Ranger District, Santa Fe National Forest. Along East Fork Jemez River adjacent to highway 4 at El Cajete Canyon bridge crossing just north of East Fork Campground. Substrate: On volcanic rock outcrop.